Customs has a language all of its own, as well as terminology that can appear a little complicated at times. DHL’s glossary presents some of the more common terms you will come across when shipping dutiable goods internationally. This is a Latin term meaning ‘according to the value.’ All duties and taxes are calculated on the basis of value, so you may see this used quite often. The ATA Carnet is an international customs document. Issued under the terms of the ATA Convention and the Istanbul Convention, it incorporates an internationally valid guarantee. The carnet can be used in place of national customs documents and as security for import duties and taxes. This covers the temporary admission of goods and the transit of goods. The ATA Carnet can also be accepted to control the temporary export and re-importation of goods. However, in this case, the international guarantee does not apply. These are goods stored in a secure warehouse. While they remain there, they are not liable for any payment of import duty. That is, until the duty is paid or the goods are exported or legally dealt with. 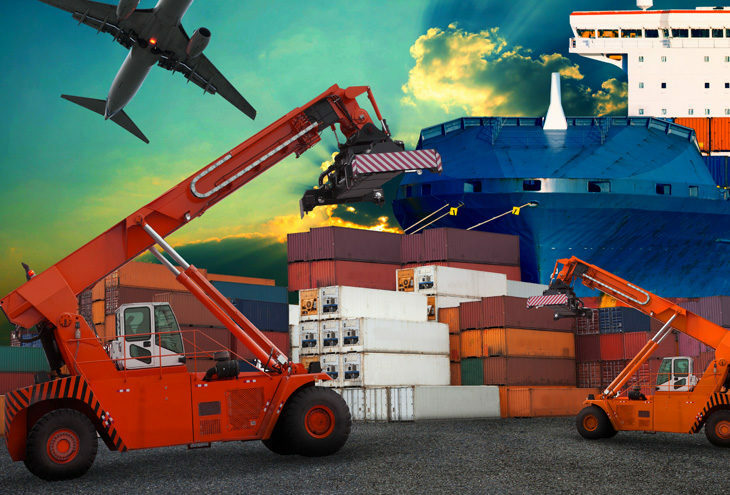 Often refers to customs brokerage, where a third party is used for the clearance of inbound or outbound shipments. A cargo manifest lists the goods carried in a means of transport or in a transport-unit. It may be used in place of the cargo declaration. The ATA Carnet is an international customs document which allows the temporary importation of commercial samples, professional equipment or goods going to either a trade fair or exhibition to countries which are part of the ATA Carnet system. This is a specific document that expressly certifies that the goods to which the certificate relates, originate in a specific country. This certificate may also include a declaration by the manufacturer, producer, supplier, exporter or other competent person. An abbreviation used in some international sales contracts, when the selling price includes all “Costs, Insurance and Freight” for the goods sold. This means that the seller arranges and pays for all relevant expenses involved in shipping goods – from their point of export to a given point of import. In trade statistics, “CIF value” means that all figures for imports or exports are calculated on this basis, regardless of the nature of individual transactions. A commercial invoice serves as a legal document used for international shipping where customs clearance is required. The revenue service or customs authorities at the destination cannot physically search every shipment arriving at the border therefore a commercial invoice is used to allow customs to define the value of any duties and taxes which may need to be paid before the shipment can be released and delivered. The commercial invoice therefore should allow DHL and customs to define exactly what is inside the package, including quantities, descriptions, values and weights etc. It should also contain details relating to the party paying duties including account numbers, VAT numbers, ID numbers, contact details etc. A tax invoice differs from a commercial invoice in many ways, but one of the more important differences is the valuation of the goods. Where a tax invoice might indicate a single value for a transaction, the commercial invoice can indicate the complete breakdown of the costs that comprise this value. If for example the price charged includes the freight costs, then the commercial invoice can indicate the amount excluding the freight costs (also known as the FOB value) and the freight costs in separate lines. This allows the customs procedures to be carried out against the net value. The omission of freight costs, one part of what is also known as non-dutiable charges, can often have a material impact where duties and taxes are payable against the customs value. If a shipment cannot automatically be cleared through customs DHL will need to contact the importer therefore putting clear and accurate contact details will also help speed up the clearance process. DHL offers an easy four step commercial invoice generator here. This is a detailed statement of goods shipped, certified by the consulate of a country. It is required by certain foreign governments that want a tighter control over imports. Any statement or action, in any form prescribed or accepted by customs, giving information or particulars required by customs. This is a Latin term and is a shortened version of the expression “de minimis non curat lex” meaning “the law does not care about very small matters”. It is often considered more efficient to waive very small amounts of duties and taxes rather than collect them. Electronic Data Interchange – the electronic transmission of data. FOB means Freight On Board or Free On Board. If terms of delivery of a transaction is on FOB means, the cost of movement of goods on board of airlines or on board of ships is borne by the seller. Rest of all expenses to arrive the goods at buyer’s premise has to be met by the buyer. Please see here for further details. An area within a country (a seaport, airport, warehouse or any designated area) regarded as being outside its customs territory. Importers may therefore bring goods of foreign origin into such areas without paying customs duties and taxes. This is always pending eventual processing, trans-shipment or re-exportation. Free zones were once numerous and prosperous when tariffs were higher many years ago. Some still exist in capital cities, transport junctions and major seaports, but their number and prominence have declined as tariffs have fallen in recent years. The international system published by the World Customs Organization that sets out in a systemized form the goods handled in international trade. Goods are grouped in sections, chapters and sub-chapters that are governed by rules. Hold for Collection – to be sent to a DHL owned point, for collection by receiver. The International Air Transport Association (IATA) is the trade association for the world’s airlines, representing 265 airlines or 83% of total air traffic. They support many areas of aviation activity and help formulate industry policy on critical aviation issues. This is the entity or individual who is responsible for ensuring the imported goods comply with local laws and regulations, filing and completing relevant documentation and paying the duties and taxes due on the goods. “Incoterms” is a trademark of the International Chamber of Commerce. Incoterms® rules and trade terms are recognized and accepted as the standard for international trading and are regularly updated as commercial conditions change. Terms were last amended in 2010. DDP – Delivered Duty Paid: [DTP – Duty and Tax Paid] A seller or exporter is responsible for delivering the goods to the named place in the country of the buyer, and pays all costs in bringing the goods to the destination, this cost included import duties and taxes. The cost of the imported goods at the port or point of entry into a country, including the cost of freight, insurance and port and dock charges. All charges occurring after the goods leave the import point are not included. A certificate issued by a government agency (usually agriculture) to satisfy import regulations of foreign countries. The certificate indicates that a shipment has been inspected and found free from harmful pests and plant diseases. Forbidden or banned – In context, a shipment that is under no circumstance allowed onto the DHL Network or through customs. In context – a shipment that has various limitations when sending via the DHL network or through customs. Consignment may require permits, approvals or certain documentation when shipping. EDI (Electronic Data Interchange) standards are developed and supported by the UN for electronic message (data) interchange on an international level.